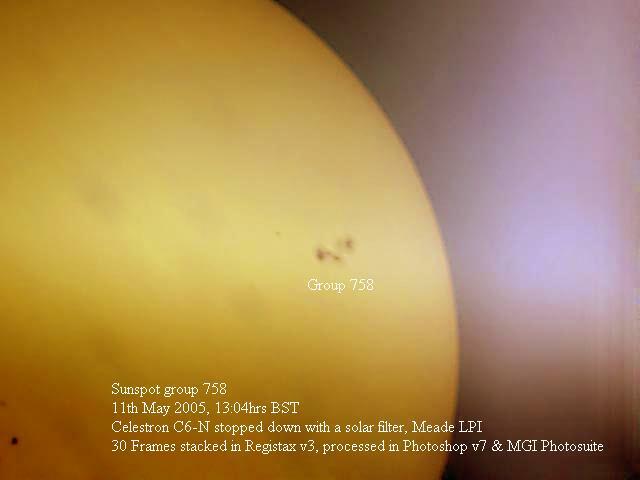 Sunspot Group 822 as imaged by Chris Newsome on the 17th November 2005. 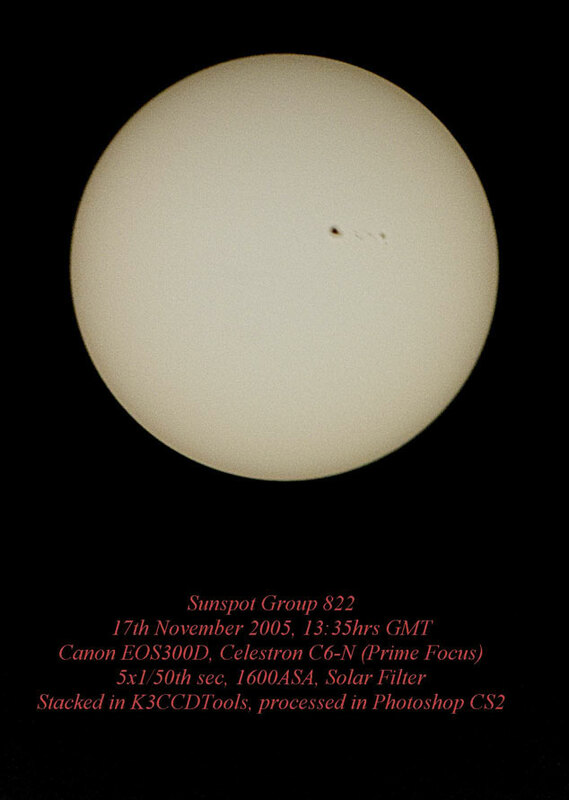 Chris Newsome took the following image of sunspot group 822 on the 15th November 2005 at 10:50 UT. According to http://www.spaceweather.com/ this group was about 140,000 km across - that's about the size of Jupiter! Chris used a Canon EOS300D camera at 1600 ASA at the prime focus of a Celestron C6-N. Three 1/50th second exposures were captured in RAW format and converted to 16 bit TIFF and stacked in K3CCDTools v2. Further processing in Photoshop v7 included RGB Levels, Unsharpen Mask, and Gaussian Blur. The resulting image was then cropped to remove the excess background. 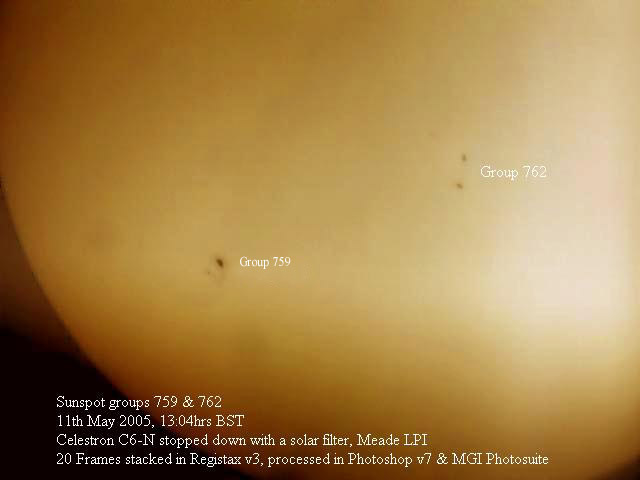 The following image shows the details of sunspot group 798 as imaged by Chris Newsome on the 14th September 2005. According to http://www.spaceweather.com/ this sunspot group has made September 2005 the most active month on the sun since March 1991 with numerous coronal mass ejections and resulting auroras. This image made Picture Of The Week on the British Astronomical Association (BAA) website on the 19th September 2005. 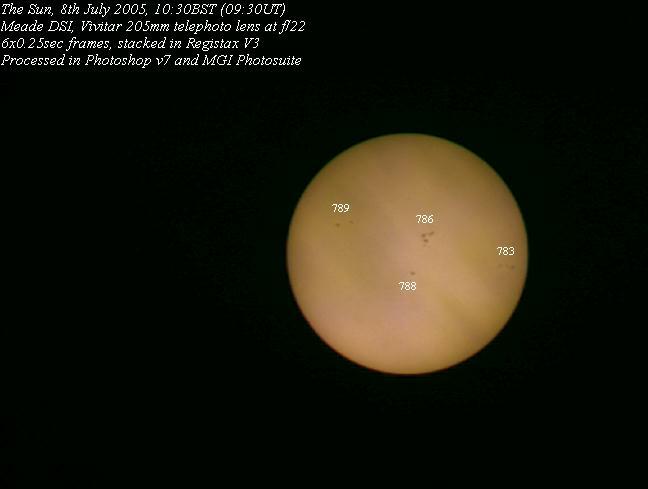 Chris Newsome shot the following image of sunspot groups (numbered) on the 8th July 2005. 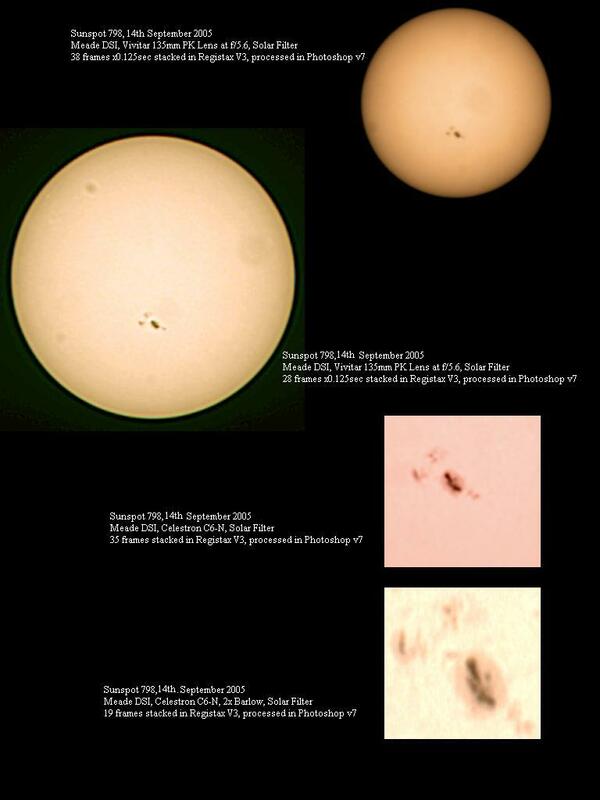 The following two images of sunspots were taken by Chris Newsome on the 11th May 2005. Chris comments: 'Sunspot 759 looks to be developing into a big one. It's only just moved round to the Earth side of the sun and is increasing in size. 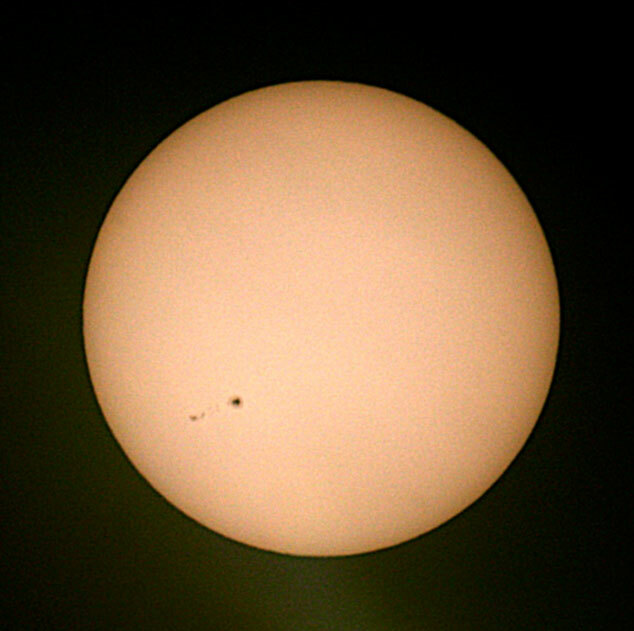 Sunspot 758 started out as very small and has developed over the past few days into a size comparable with that of the planet Jupiter! '.